The Magnificent Mile, often referred to as simply The Mag Mile, is an upscale shopping district located in the heart of downtown Chicago right on Michigan Avenue. 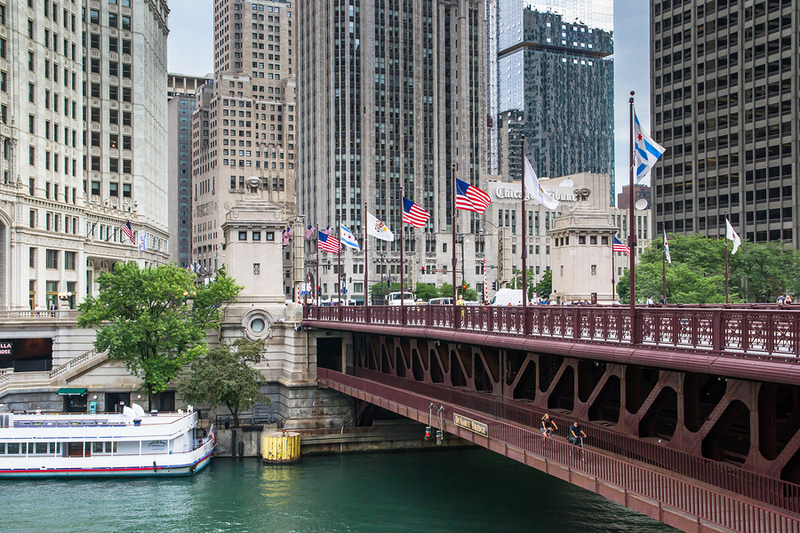 Stretching from the Chicago River to the south to Oak Street in Chicago’s Gold Coast to the north, The Magnificent Mile presents a one-of-a-kind atmosphere to anyone who lives, works, or plays in this part of downtown Chicago. And although many consider the Mag Mile to be a part of the Streeterville neighborhood, it’s actually recognized as the boundary line of Streeterville and River North—two of the city’s most electric neighborhoods that are full of life and energy. The Magnificent Mile originally got its name back in the 1940s from Arthur Rubloff, a prominent real estate developer and business man in Chicago at the time. Since then, few would argue that it’s certainly lived up to its name in a number of different ways, as you’ll find out below. Along with featuring some of the city’s most historic landmarks—like the Wrigley Building, the Chicago Water Tower and the Allerton Hotel to name a few—as well as some of the city’s tallest buildings, the Magnificent Mile in downtown Chicago currently has about 3.1 million square feet of retail space, restaurants, museums, and hotels, giving those lucky enough to call the Mag Mile home plenty of things to see and do each and every day. In fact, it’s estimated that 22 million people visit the Magnificent Mile annually, and with over 460 stores, 275 restaurants, 51 hotels, and some of the most spectacular architecture in the world, it’s easy to see why. If you combine all the residential high-rises that sit directly on Michigan Avenue, as well as all the high-rises that sit just off Michigan Avenue, you’ll find that the Magnificent Mile has a pretty diverse and attractive selection of condominium residences, especially those with amazing views of the city and lake. In addition, Magnificent Mile condos also provide residents with easy access to Chicago’s central business district via the Red Line, not to mention the city’s beautiful lakefront as well. For more information about Magnificent Mile real estate for sale, give our downtown Chicago real estate experts a call today at (312) 280-9600, or just start browsing all the available MLS listings on or near Michigan Avenue below.